We continue our build up to this weekends trip to Oldham Athletic in the FA Cup 5th Round, with a look back at some classic 5th Round action. Today’s video takes us back to 1986 and an Everton side looking to continue their progress towards a 3rd consecutive Cup Final. Everton were drawn against Tottenham Hotspur and travelled down to London for a midweek fixture at White Hart Lane. Everton went into the game in the midst of a defensive crisis. Gary Stevens and Derek Mountfield were both out through injury and when Kevin Ratcliffe hobbled off inside the opening 10 minutes, the Blues were left without a recognised Centre Back. Somehow, Everton stood strong as the most dramatic game unfolded in North London. 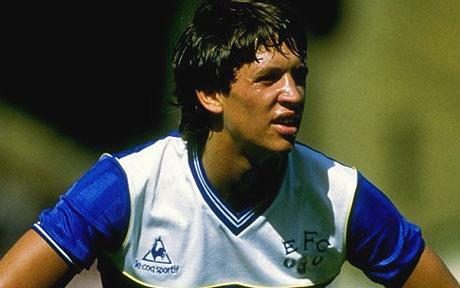 Adrian Heath and Gary Lineker scored for Everton to put the Blues into a comfortable 2-0 lead, only for Spurs to strike back and set up the most tense of finishes. Everton through a combination of brilliant goalkeeping and last gasp defending kept Spurs at bay, to secure a Quarter Final tie against Luton Town. The Everton line up was: Southall; Harper, Pointon, Ratcliffe (Heath, 9′), Van Den Hauwe; Reid, Steven, Bracewell, Richardson; Lineker, Sharp.